Presently, they can still be imported with the proper permits (check the rules with your local CITES office), but that could change if export numbers drastically decline in number, indicating a possible adverse effect from over-collecting. Trading captive bred individuals within your country is legal without any permits, but if you want to export captive bred individuals to other countries you need official proof that they are captive bred. 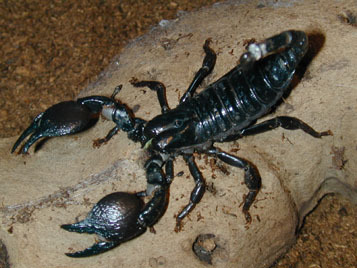 Pandinus imperator is the most common scorpion in captive care, and is readily available in the pet trade. I doubt that all these individuals are legally obtained. Some export is permitted though. CITES Export Quotas for 2001 were 42 781 (ranched specimens from Benin), 13.500 (ranched specimens from Togo) and 1000 (wild caught specimens from Togo). Quotas from other years can be found in the CITES database (see link to CITES below). No quota data are available for P. dicator and P. gambiensis. P. diactator and P. gambiensis are rare in the pet trade, but this is an uncertain conclusion because indentifying the different Pandinus is difficult. Pandinus cavimanus is also quite common in the pet trade. Some specimens of Pandinus viatoris are also known to occur. 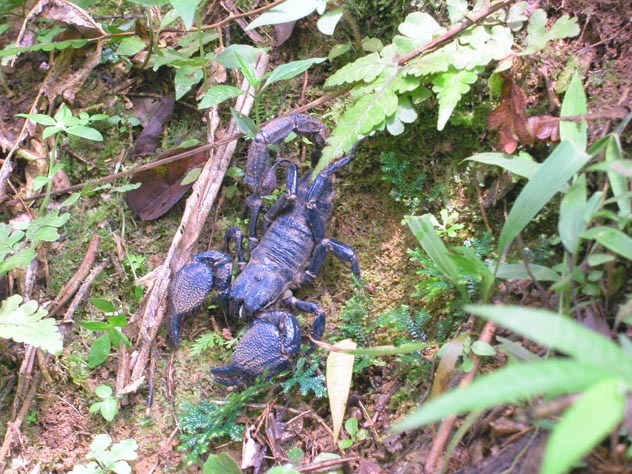 The latter two species are not placed on the CITES, appendix II, and can be traded without any special permits (but some countries might have local rules regarding import/export of scorpions!). The species Pandinus africanus occurs on the lists of some commersial dealers. This name is not valid, and it is possible that this name is used on other species to avoid the CITES problematics. The specimens I've seen sold as Pandinus africanus have been P. cavimanus, though. More info on the CITES hompage.